In 2011, we ventured to northern Maine to see some of the filming locations for the 1989 cult horror classic “Pet Sematary,” the movie adaptation of Stephen King‘s 1983 novel about animals that come back from the dead, which Mary Lambert directed from King’s own screenplay. As lifelong King and horror film fans, this particular trip represented a kind of pilgrimage for us. We knew the drive would be long (well over five hours just to get there), but we knew it would be worth it. Prior to reaching Maine, we had no ambitions other than to find the locations and — maybe — take some clever then-and-now photos of us recreating some of the film’s memorable scenes and stand where the actors (including Denise Crosby, Dale Midkiff and Fred Gwynne) once stood. Little did we know that this one-day trip to Maine would be the first of dozens we would take between 2011 and 2015, and that our quest to uncover the relics — photos, videos, stories — from Stephen King‘s “Pet Sematary” would also lead to a documentary that would take us all around the United States and ultimately land a major distribution deal with the production and distribution company Terror Films. Here are some fun facts about Stephen King‘s “Pet Sematary” that we uncovered. 1. Some events from “Pet Sematary” actually happened. Before reaching the big screen, “Pet Sematary” was a bestselling novel that thrilled and shocked readers back in 1983. Many of the events in the story, including the near death of King’s son, Owen, on a busy road in front of their Maine home, were inspired by real events from King’s life. Another event that actually happened to King was learning that his daughter’s cat, Smucky (named Church in the book and subsequent film adaptation), had died. Much like our main characters in the film, King and his wife, Tabitha, were unsure of how to deal with the news, but they ultimately decided to tell their daughter about the cat, agreeing that she had to learn about death sometime. Ironically enough, King originally felt that the story itself was too dark and that nobody could possibly want to read it, so he kept it tucked away for several years before finally publishing it. 2. The movie set the standard for King’s stories to be shot in Maine. Despite his stories almost always being set in Maine, prior to “Pet Sematary,” all of Stephen King‘s films were actually shot outside the state. Once King began writing the screenplay and the prospect of the film getting made became more and more certain, he insisted that it be shot in Maine, not only to remain true to the story itself but also to bring money and exposure to the state. “Pet Sematary” would set the trend of shooting film adaptations of his stories entirely — or at least partly — in Maine. 3. The 1988 Writers Guild of America strike helped “Pet Sematary” get made. In 1988, film executives were scrambling to find scripts that were so well written they could just go ahead and start shooting. With the looming WGA strike, the executives feared that there would be many empty slots on their release calendars. Because King’s script for “Pet Sematary” was so well written, then Paramount executive Lindsay Doran championed for it to get made during this critical period. Despite reservations by some that another Stephen King film was not the right move (by 1989, many felt that audiences had grown tired of Stephen King films — of course, this was before popular movies like “Misery” and “The Shawshank Redemption” came out), they gave the project the green light and went ahead and filmed it — much to the surprise and delight of Paramount executives. 4. Fred Gwynne was an incredibly versatile actor. To most, Fred Gwynne is best remembered for playing Herman Munster on the short-lived yet very popular television series “The Munsters.” However, Gwynne could do much more than play a funny, Frankenstein-inspired klutz. From theater to writing and illustrating children’s books, Gwynne — who was also a Harvard graduate — had a rich and varied career in numerous areas of the arts. Clearly, director Mary Lambert recognized his immense talent and insisted that he be cast as Jud Crandall. 5. The movie had a major Madonna connection. 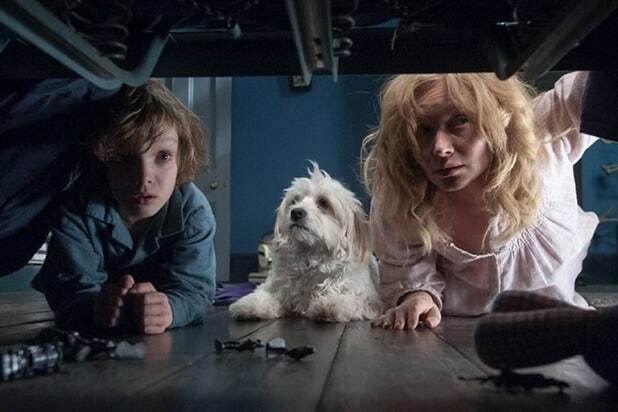 Her distinctive style definitely shines in the film, and it makes “Pet Sematary” stand out from the other horror movies that came out at that time. Oh, and, by the way: Lambert, a painter and visual artist in many media, is the older sister of former Arkansas Sen. Blanche Lincoln. 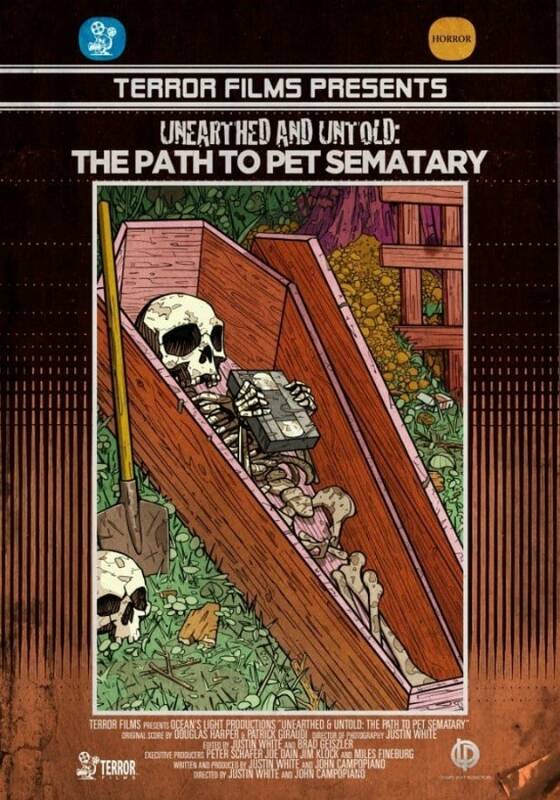 John Campopiano and Justin White are the directors of the documentary “Unearthed and Untold: The Path to Pet Sematary.” It is available now on iTunes, Amazon, Google Play, VuDu, Microsoft Xbox and Sony PSN. You can also watch the film’s trailer here. JOHN CAMPOPIANO is a native Rhode Islander who now lives in Somerville, Massachusetts. He received his masters degree from Simmons College in 2013. When he is not engrossing himself in horror and cult films, he serves as digital records manager for the PBS series "Frontline" and runs the organization that he founded, the New England Media and Memory Coalition. JUSTIN WHITE is another native Rhode Islander who graduated from the New England Institute of Technology in 1999 after majoring in video and radio production. He worked for various local radio and television stations in the early 2000s doing production work and has been employed at WPRI-TV in East Providence for the last 12 years as a videographer and editor.